Dale Keith Brookings, 73, of McGehee, Arkansas, passed away on Monday, July 9, 2018, at his home. He was born in El Paso, TX on May 26, 1945, to his parents, Milton, and Melba Keith Brookings. He was a 1964 graduate of Crossett High School and a member of the First Baptist Church of McGehee. His long career as an electrician and millwright included working for Georgia Pacific, International Paper, and Potlach, where he eventually retired at the age of 62. 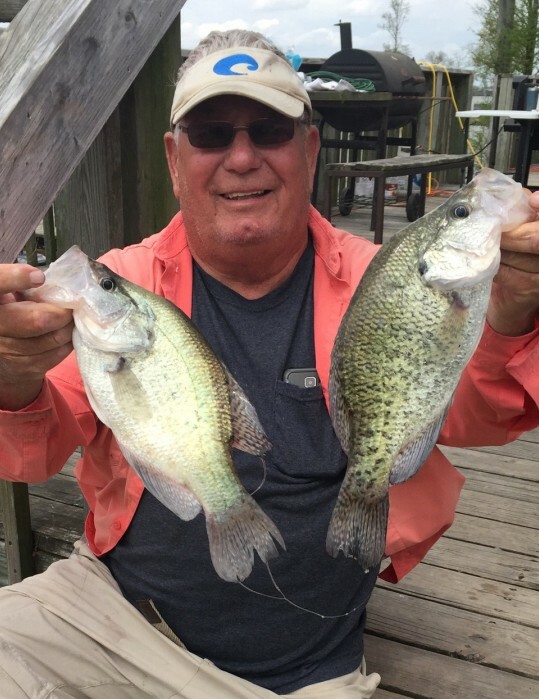 Dale was an outdoorsman and adventurer, a hunter, master crappie fisherman, and an expert on Lake Chicot fishing holes. He often traveled to far away destinations to hunt and fish, such as Peru and the Amazon River. He was a people person and family man who loved chocolate and his wife’s cooking. His calm, patient, and level-headed personality often compelled those who knew him to seek his advice, which he always gave graciously. Along with his parents, he is preceded in death by one grandson, Haden Howell. He is survived by his wife of 30 years, Camille Jenkins Brookings, of McGehee; two daughters, Carmen Brookings Sanders and husband, Mike, of Mobile, AL, and Dana Withers and husband, Steve, of Crossett; one son, Lance Keith Brookings and fiance’, Jennifer, of Haughton, LA; three brothers, Don Brookings and wife, Ruth, and Stevie Brookings and wife, Penny, all of North Little Rock, and Ray Brookings and wife, Signe, of Bentonville; eight grandchildren, Brittney and Brandon Eads, Lance Withers and wife, Montana, Case Griever, Briana Rodgers and husband, Derek, Austin Brookings, Chloe Ramos and husband, Kevin, and Laiken Russell; four great-grandchildren, Talan Mercer, and Kruze, Korbyn, and Savana Withers; also a special niece, Rosa Bolin and husband, Steve, of Blue Mountain, MS; a special nephew, Chris Brookings and wife, Christi, of Cabot; and a host of other special nieces, nephews that were near and dear to his heart. A Celebration of Life Service will be held at 2:00 p.m., Wednesday, July 11th at the First Baptist Church of McGehee, 312 W. Seamans Dr., McGehee, AR, with Pastor Ed Balducci officiating. Visitation will be from 5:00-7:00 p.m., Tuesday, July 10th also at the church. Services entrusted to Medders Funeral Home of Crossett.